‘Boomer’ does have some impressive personal accolades. He made four Pro Bowls, and did capture the 1988 MVP award. 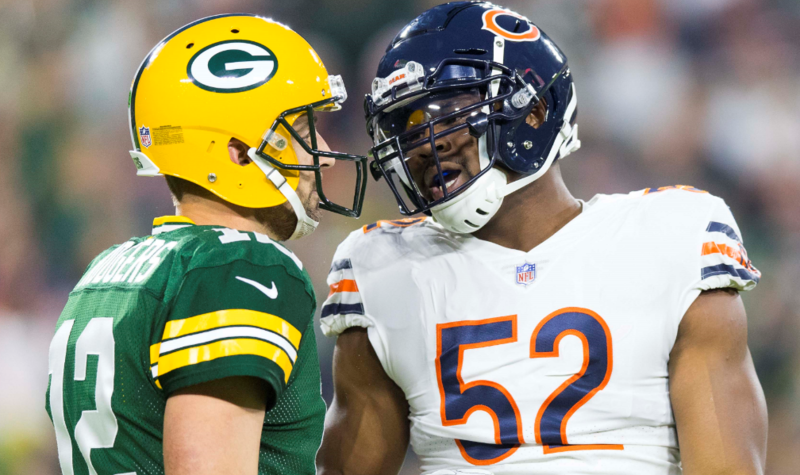 However, the bigger picture saw a quarterback with wild inconsistency — and even worse winning totals. Esiason’s career record as a starter is a very underwhelming 80-93. He also threw 184 interceptions in 187 NFL games — meaning he was eerily close to averaging one interception per game. 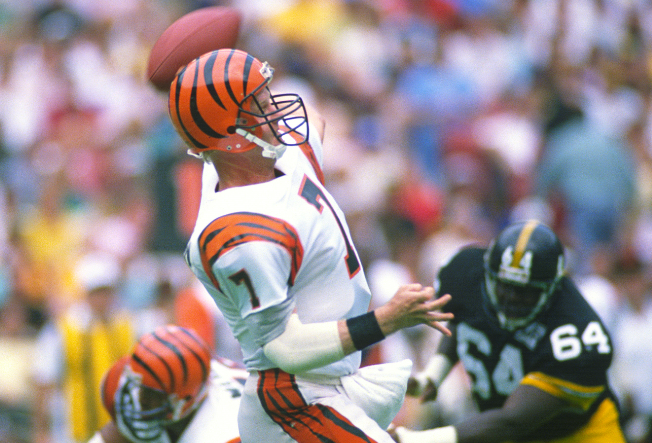 Esiason was good, though his reputation as a great quarterback may be a bit inflated. Culpepper was exceptionally fun to watch. As a second-year player, he led the Vikings to an 11-5 regular season mark. 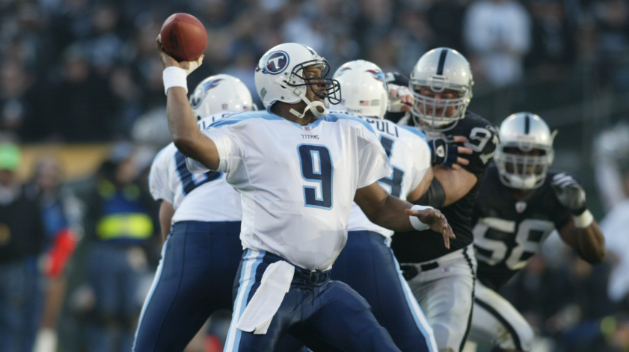 A season in which Culpepper accrued 33 passing touchdowns and 3,937 yards through the air. However, he never managed to have a winning season at any other point during his career. Essentially, Culpepper had three very good years…and eight rather poor ones. With a career record of 41-59, he was simply a proverbial flash in the pan. 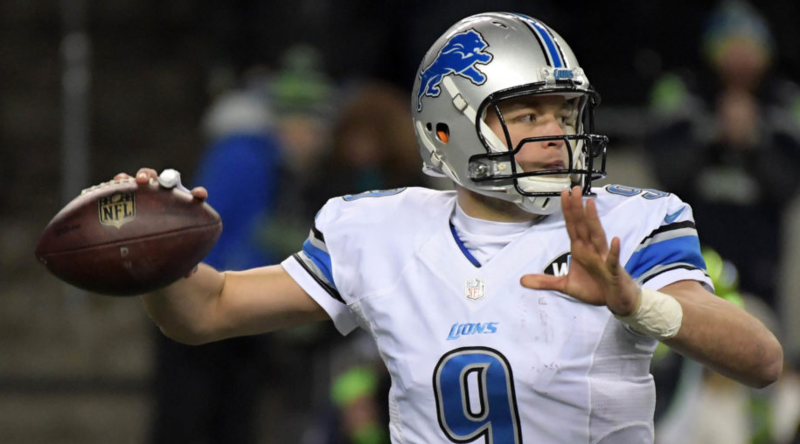 In 2017, Stafford signed a five-year extension worth $135 million. At the time, it was an NFL record (though more recent ones to Aaron Rodgers and Matt Ryan have since surpassed it). Regardless, Stafford is one of the league’s highest-paid players. However, he’s not performing like one. Many become enamored with Stafford’s arm strength. With that said, he’s been only okay as a starting signal-caller. Stafford’s career record as a starter is below .500 (62-68). He’s also 0-3 in his postseason career. Stafford isn’t untalented — though he lands on this list based upon the hype (and money) he’s accrued. Kelly absolutely deserves to be in the Hall of Fame. 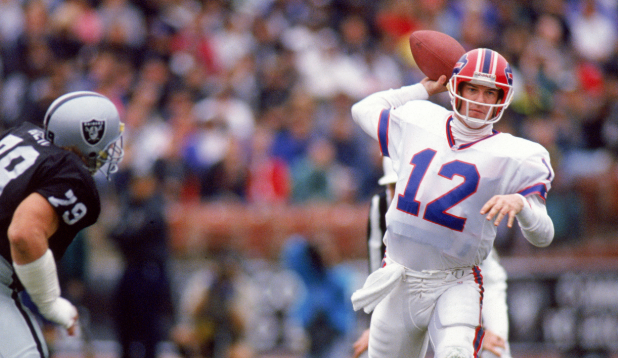 After all, he did help lead the Buffalo Bills to four-straight Super Bowl appearances. 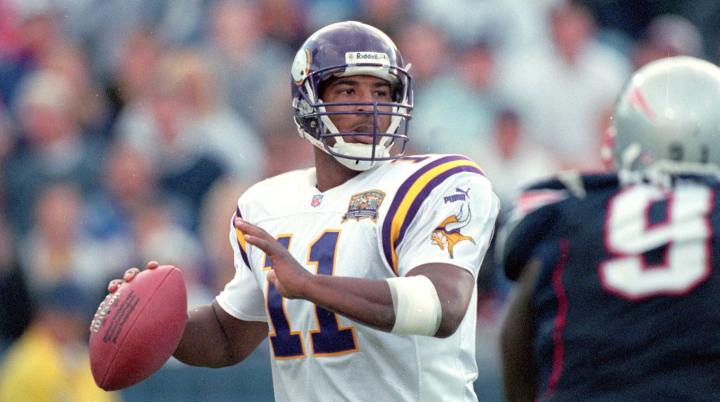 Many are quick to throw him up in the same class as Favre, Young, Montana, and Marino. We don’t think this should be the case. 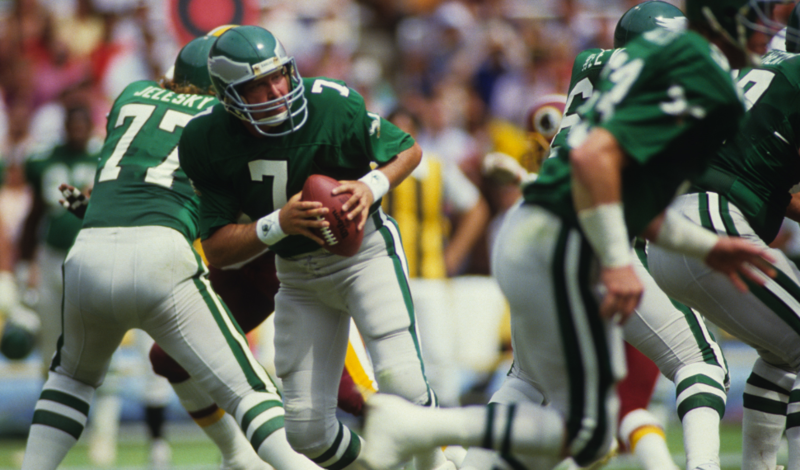 While Kelly was a quality signal-caller, he had a QB rating over 100.0 only once during his career. Many of his seasons were plagued by high interception totals. Additionally, he benefited by playing on truly stacked teams. Very few were able to play alongside the likes of Andre Reed and Thurman Thomas. Palmer’s career will be largely categorized for never winning when it mattered most. Sure, he had a big arm — and also a few statistically-good seasons. But there was never a sense that Palmer was a truly elite signal-caller. He finished with a career 1-3 mark in postseason play (which included a TD:INT ratio of 5:7). Palmer also had multiple seasons in which he threw 20+ interceptions. 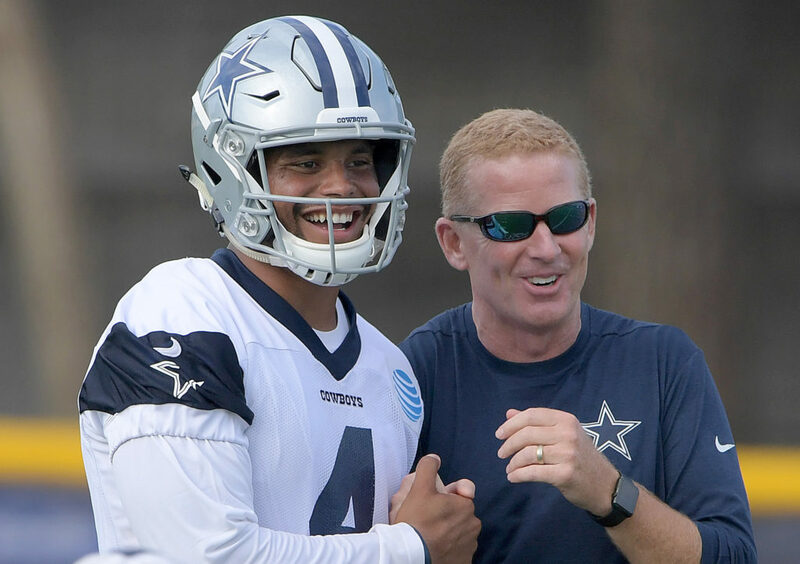 Prescott’s status as a ‘star’ quarterback sits directly with the city of Dallas, the Cowboys’ outspoken fan base, and Dallas mega-fan Skip Bayless. Prescott is a stabilizing force — something Dallas hasn’t had much of in its locker room. That said, it doesn’t mean Prescott is very good as a quarterback. His range on throws sits between 1-10 yards. Rarely does he throw the ball downfield. As such, the Dallas offense is restricted immensely. Trent Green had a number of excellent years. He’s also had a couple of head-scratching ones — like in 2001 when a 31-year-old Green tossed 24 interceptions (with only 17 touchdowns). Despite two Pro Bowl appearances, Kansas City underachieved with Green at the helm. Remember, he had all-pro teammates at tight end (Tony Gonzalez), running back (Priest Holmes), and up front (Willie Roaf, Will Shields). Even with this unbelievable talent surrounding Green, he went 0-2 in the playoffs — including a two-interception, 107-yard passing effort versus the Colts in 2006. 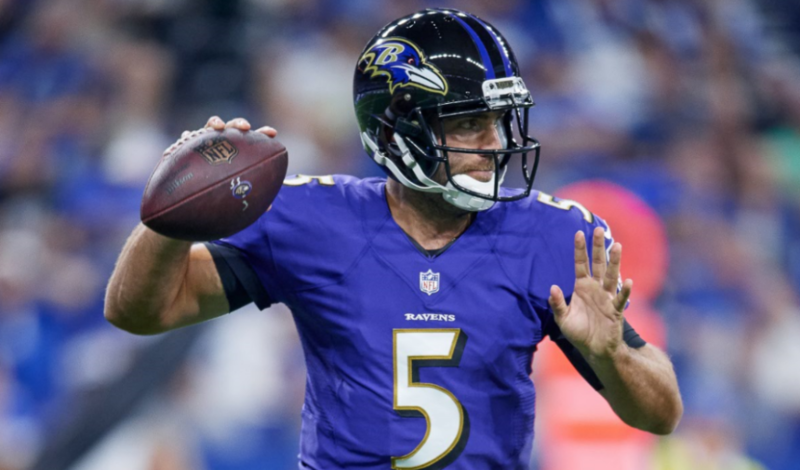 Many believe Flacco is living off of the Ravens’ Super Bowl win in the 2012-13 season. We tend to agree with this assessment. Despite having an above-average arm, Flacco rarely attempts to throw the ball beyond 20 yards downfield. Since that Super Bowl-winning season, Flacco has a combined record of 41-38. This is hardly impressive — especially when Baltimore inked Flacco to a $66 million-dollar extension on the back of a previous five-year/$120 million deal. Simply put, he’s a very average signal-caller. Manning is one of the most prolific quarterbacks in NFL history. The former Colt and Bronco has an expansive trophy case that could stack up with any of the all-time greats. 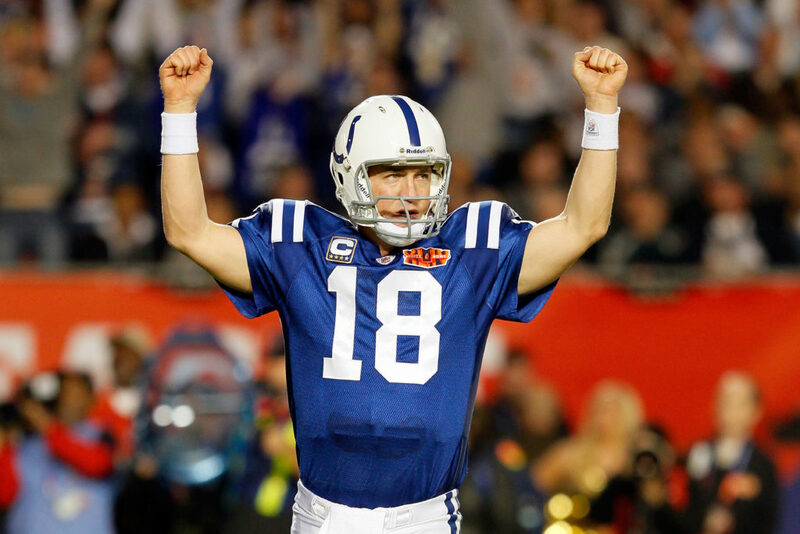 Over a stellar 18-year career, Manning won four MVP’s, went to 14 Pro Bowls, was named First-Team All-Pro seven times, and broke countless records. How is it then that Manning falls on this list? Manning holds an unimpressive 14-13 record in the playoffs. Virtually all of his numbers dipped during the postseason, including his TD-INT ratio, completion percentage, and passer rating. For the amount of talent Manning possessed, it’s a bit off that he was never able to achieve a truly dominant postseason performance. Fouts gets a pass because he played at an above-average level for a QB-starved franchise. The Chargers have been fortuitous in recent history with their signal-callers (Drew Brees followed by Philip Rivers), but it hasn’t always been smooth sailing. 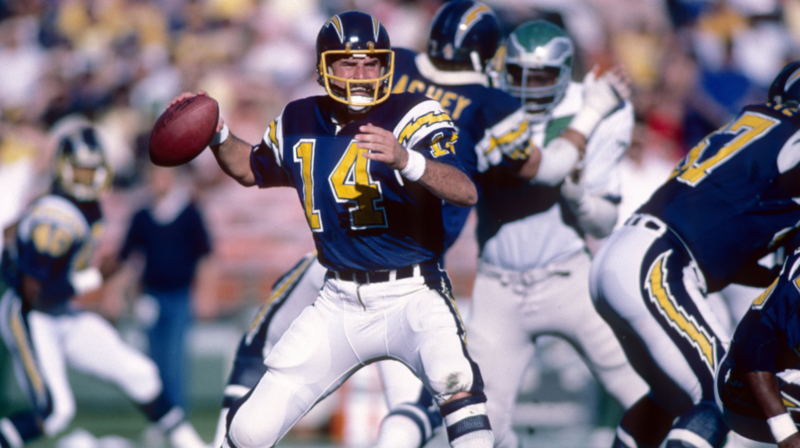 Fouts gets the benefit of the doubt when it comes to the Chargers’ faithful who remember the dark ages of San Diego quarterbacking that included Stan Humphries, Doug Flutie, and Jim Harbaugh. Simms will forever be a God within the New York sports scene. He led the Giants to two Super Bowls. Essentially, Simms can do no wrong for that franchise. When delving into his past as a player, it’s safe to say he was overrated. Simms only completed 55.4 percent of his passes over the course of his career. During one of his Pro Bowl years, Simms had a touchdown-to-interception ratio of 22:20. This is hardly impressive by any stretch of the imagination. In his other Pro Bowl year, Simms had 15 touchdowns to nine interceptions. With those numbers, he likely wouldn’t sniff a Pro Bowl in the current era. Kosar was a fine quarterback during his career. He took care of the ball, managed the game, and put his team in position to win. However, doing the bare minimum shouldn’t be a cause for celebration. Kosar is the beneficiary of playing QB for a franchise that has seen some of the worst quarterback-play in NFL history. Kosar’s mediocrity seemed like All-World talent when compared to Tim Couch, Kelly Holcomb, Johnny Manziel and all the other Cleveland QB’s that came after him. 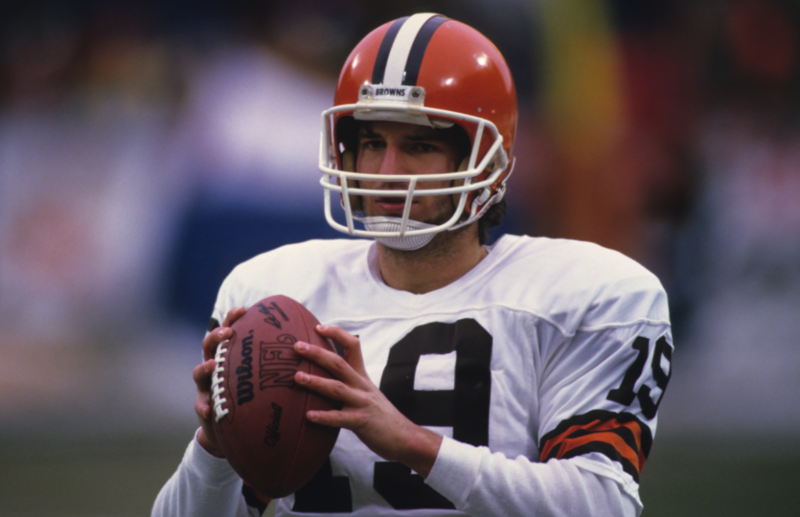 Kosar ended his career with a losing record as a starter, and zero 4,000-yard seasons. Favre’s propensity for turning the ball over lands him on this list. The three-time MVP was regarded as one of the game’s top risk-takers. 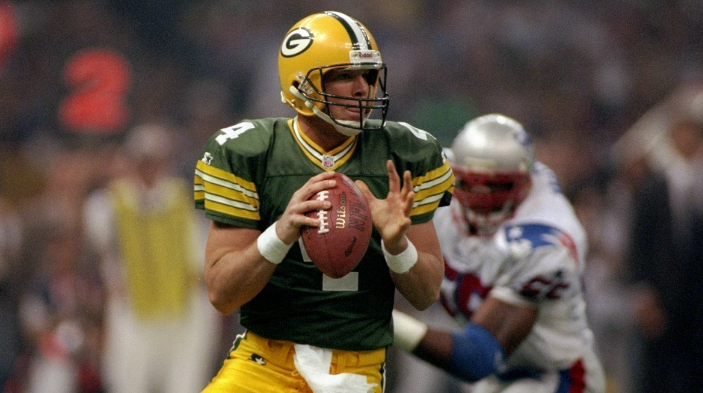 Favre’s gun-slinging mentality endeared him to fans of the sport, but the amount of interceptions and lost fumbles Favre accrued over his tenure negatively affected his teams — especially towards the latter-half of his career. His place among the all-time interception leaders (336) will be untouched for years to come. Had Romo been the quarterback for any team other than the Dallas Cowboys, he would have been just another quarterback. Playing in Dallas elevates every player to national prominence. The Cowboys are featured on national television on a near bi-weekly basis, and Jerry Jones’ team dominates headlines throughout the year. 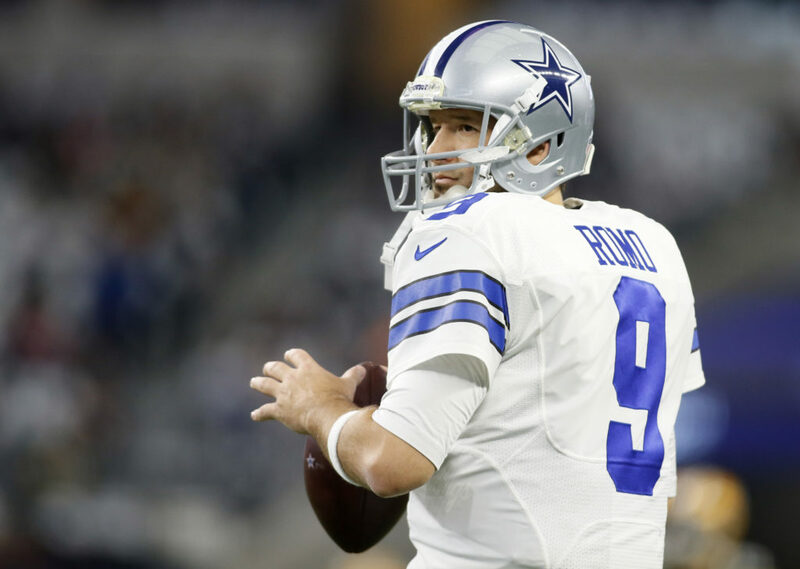 Romo was the perfect story — a former undrafted from a small school in Eastern Illinois. He was an efficient passer throughout most of his prime, but consistently blundered in the postseason. With a 2-4 record in the playoffs, and zero Super Bowl appearances, Romo will go down as just an above-average QB that played for the most popular franchise in the league. ‘Jaws’ is a popular figure — particularly in Philadelphia. Jaworski’s gregarious personality can be currently seen analyzing football games on television. However, he was once a starting quarterback for the Eagles. Jaworski only made one Pro Bowl during his NFL career. It included a very poor career completion rate of 53.1 percent. There was also Super Bowl XV versus the Raiders in which Jaworski was absolutely dreadful (in a 17-point loss). Many within the City of Brotherly Love depict Jaws as the team’s all-time best quarterback. We aren’t quite sure why, as Donovan McNabb was far more superior. Steve McNair was a great football player, but being great doesn’t excuse a player from being overrated. While McNair dazzled fans during his tenure in Tennessee, his career numbers aren’t equivalent to that of an all-time great. McNair made just three Pro Bowls in his 13-year career, and exactly zero All-Pro teams. 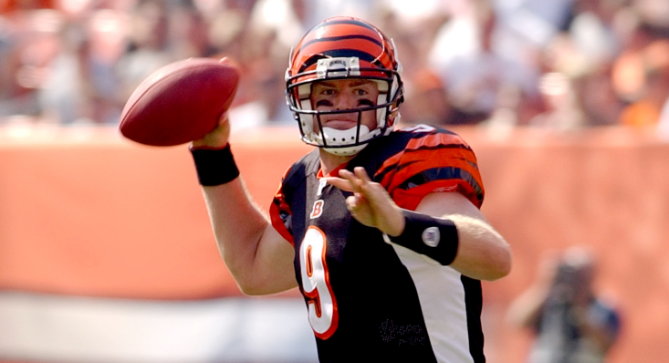 His biggest claim to fame was sharing the 2003 NFL MVP award with Peyton Manning – despite Manning besting him in just about every statistical category (yards, touchdowns, completion percentage, and team success). Flutie’s acclaim comes from his short stature, collegiate impact, and one good season of NFL quarterbacking. After being out of football for nearly ten seasons, Flutie made a return to the Buffalo Bills in 1998 and enjoyed a strong stretch as their QB. Outside of that 25-game stretch, Flutie was dreadfully inaccurate and mostly forgettable. 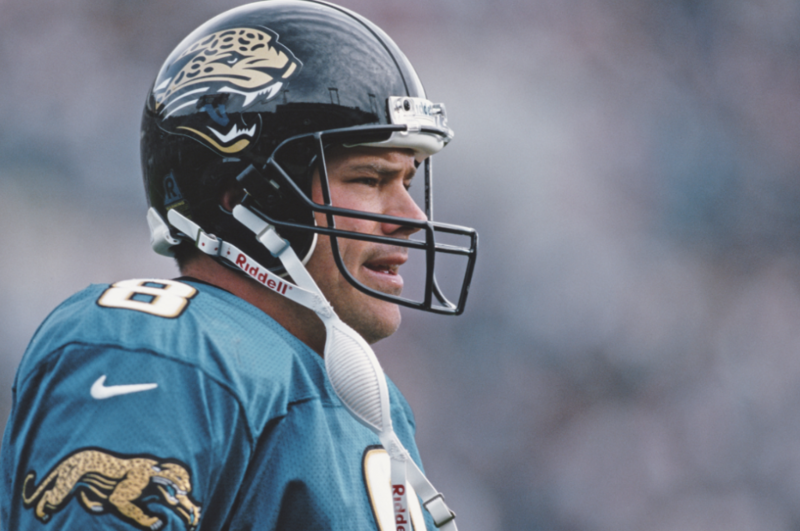 After sitting behind Brett Favre for a number of years in Green Bay, Brunell finally got a starting job with the expansion Jacksonville Jaguars in 1995. By most measures, Brunell performed fairly well. He put up an impressive 4,300-yard season in his second year, and led the Jaguars to the playoffs in four consecutive seasons. However, history seems to forget everything that happened to Brunell after that faithful 1999 season in which the Jags went 14-2. Brunell and Jacksonville failed to field one winning season in his last four years with the team, and he was eventually jettisoned to Washington where he didn’t fare much better. Brunell would become a backup for the rest of his career. McNabb was only truly elite for one, full season. 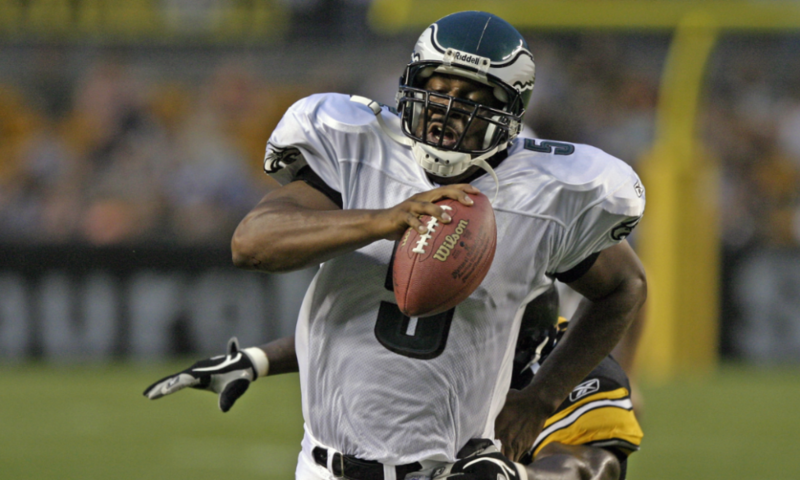 In 2004, McNabb was 13-2 as a starter and tossed 31 touchdowns to just eight interceptions. Outside of that outlier year, McNabb was above-average as a passer, at best. 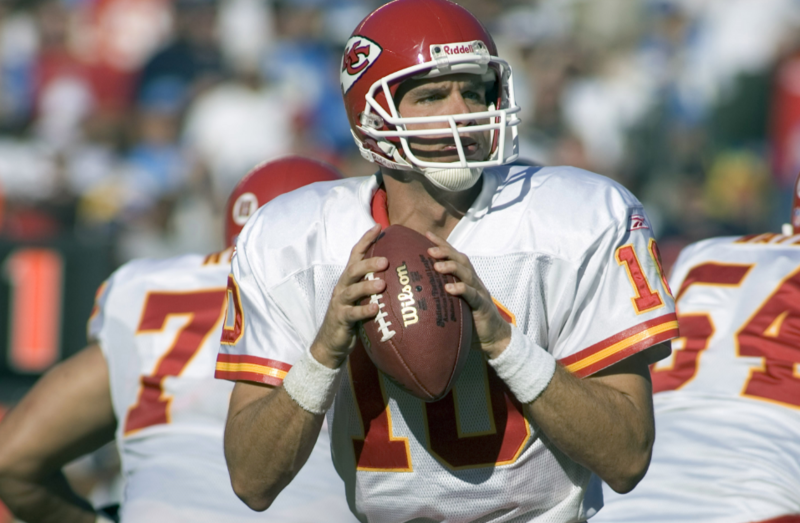 He never threw for more than 25 touchdowns again, never had a 4,000-yard season, and finished his career with only a 59 percent completion rate. 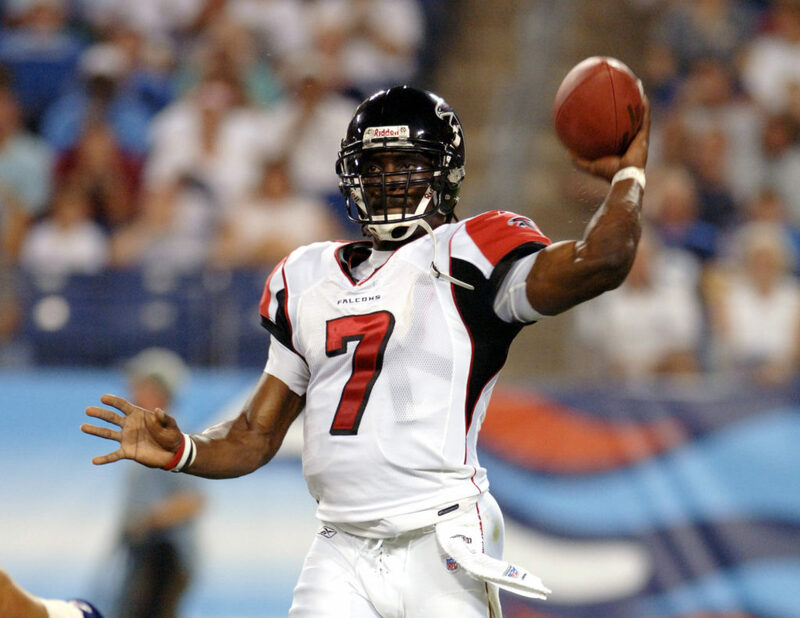 Michael Vick is the most athletic quarterback in the history of the National Football League. Never has professional football seen a talent possessing Vick’s combination of elite arm strength, sprinter’s speed, and cat-quick agility. He was undoubtedly a very popular football player (up until his scandal involving dogs). For all of the flash plays, Vick remains as an overrated football player. Vick has a career completion percentage of only 56.2. With Atlanta, Vick’s overall record (38-28-1) was decent — though not excellent. The same can be said for his postseason record (2-2) and postseason quarterback rating (76.0) with Atlanta. Starr is an icon within the NFL universe. 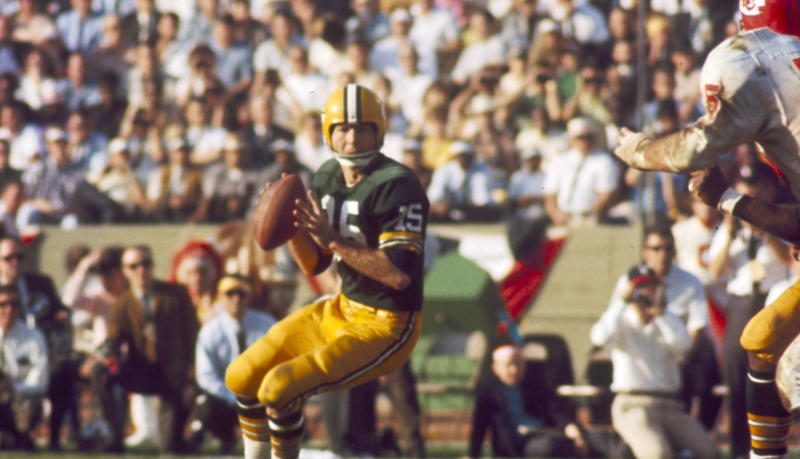 He was the quarterback for the winning team (Green Bay Packers) in both Super Bowl I and II, and won seven total championships during an illustrious 16-year career. His accolades cannot be overlooked, but statistically Starr doesn’t hold up with his contemporaries. A 57 percent completion percentage with a 80.5 passer rating aren’t numbers that are indicative of a first-ballot Hall of Famer. Purely based off of accomplishments, Manning has been worthy of being the top overall pick in 2004. After all, he’s a two-time Super Bowl champion. 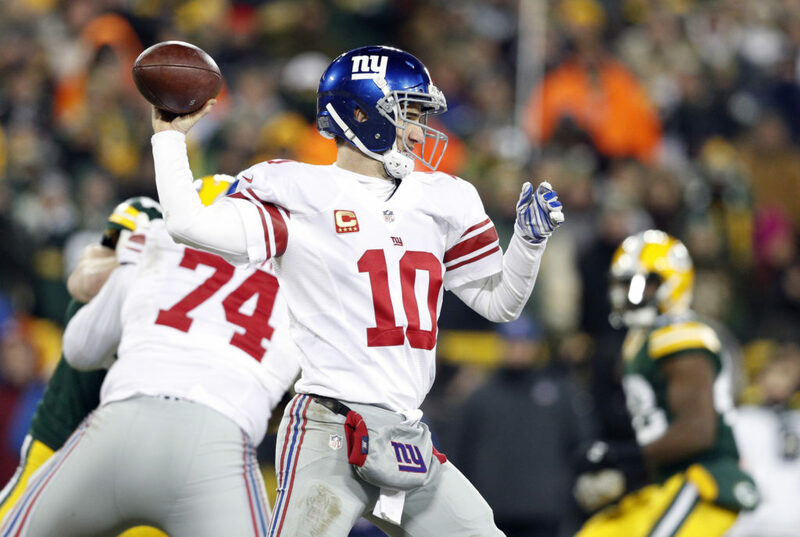 The Giants teams that hoisted the Lombardi Trophy in 2007 and 2011 were certainly talented, but weren’t gushing with future Hall of Famers at every single position. Every bit of Manning’s play during those postseason runs were necessary to New York’s success. They won — mostly — because of him, not in spite of him. That being said, Manning has failed to live up to expectations outside of those two historic seasons. He’s been a thorn in the Giants’ side since their most recent Super Bowl run, and hasn’t played anywhere near an elite level. The Giants are well on their way to a fifth losing season in six years, and Manning can be attributed to their recent dormancy. 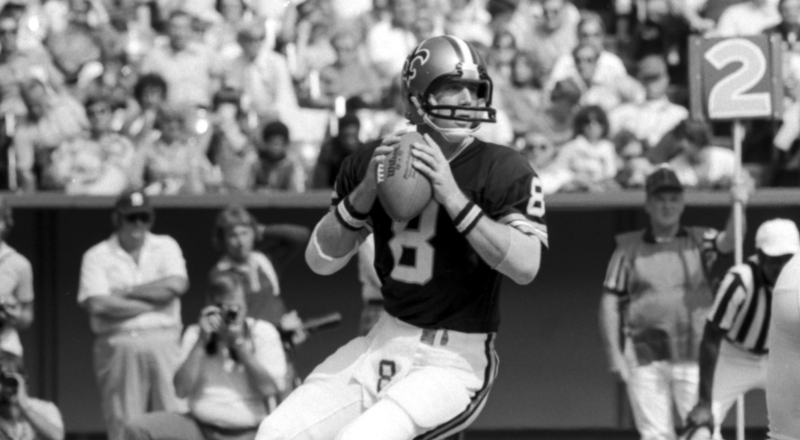 One of the most successful quarterbacks of all-time, Bradshaw is revered for the work he did as Pittsburgh’s signal-caller throughout the 70s. A former No. 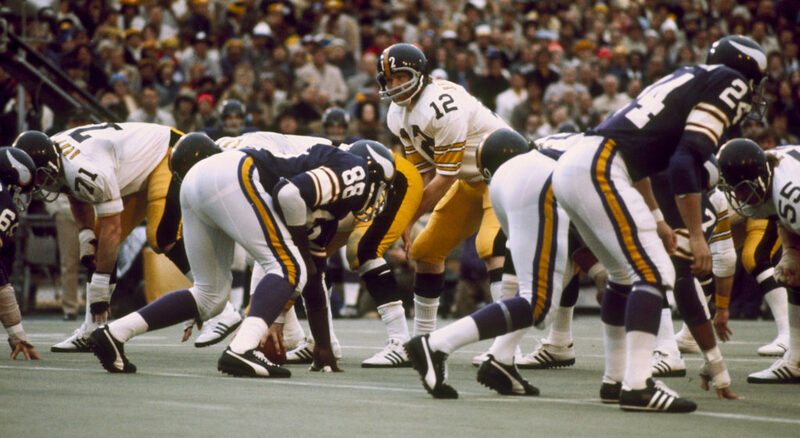 1 overall pick, Bradshaw helped guide the Steelers to four Super Bowl victories in a six-year span. Along the way, he collected three Pro Bowls and MVP honors in 1978. However, Bradshaw’s contributions have become a bit overblown over the years. Those Steeler teams were stacked on both sides of the ball, and didn’t necessarily need a star QB to succeed. Bradshaw won a Super Bowl in a season that he threw for just seven touchdowns to eight interceptions. He boasts a near 1:1 TD-INT ratio (212 TD’s to 210 INT’s), and tossed more than 20 picks in a season five times. 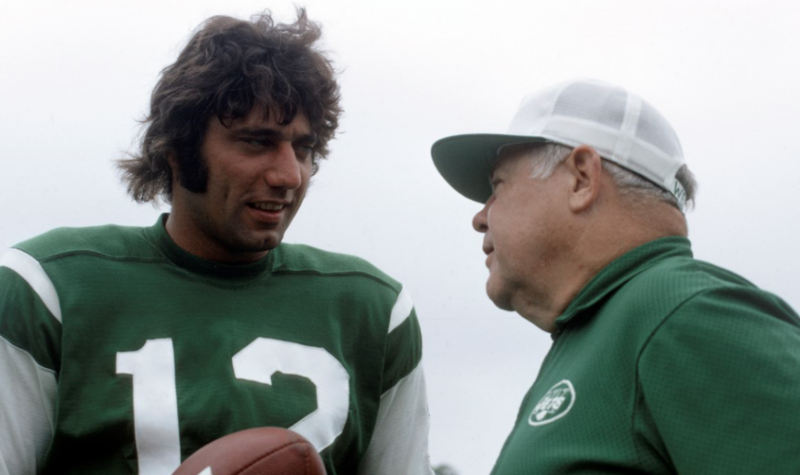 Everybody knows of Namath famously predicting his New York Jets to be victorious over the Baltimore Colts in Super Bowl III. What the grainy footage won’t remind you of is Namath’s inconsistencies as a passer throughout his playing career. Namath completed nine seasons of playing at least 10 games — he threw for more interceptions than touchdowns in seven of them. Following the Jets’ Super Bowl win, Namath spent the rest of his career marred by injuries and mediocrity. He led New York to just one winning season from 1970-1977. The two-time Pro Bowler is a member of the New Orleans Saints Hall of Fame. When looking at Manning’s numbers, it’s a bit perplexing as to why this is the case. Manning threw for 125 touchdowns during his career…but also tossed 173 interceptions (and had a career 55.2 percent completion rate). His record as a starter was 35-101-3. Yes, that’s not a typo. Manning lost a considerable amount of games. The two Pro Bowl years are nice, though it certainly doesn’t warrant the Mississippi native garnering such accolades. He has the lowest winning percentage of any starting quarterback in league history (minimum 50 games).